Bully. TR fans will be dee-lighted by Jerome Charyn’s historical novel titled, The Perilous Adventures of the Cowboy King. 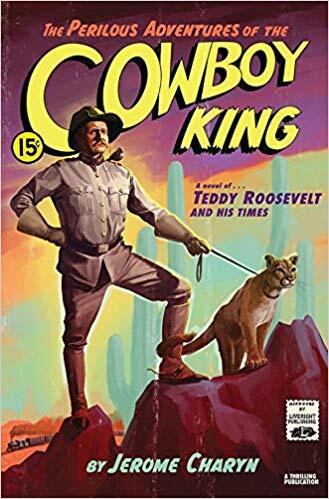 We find the raucous Teddy Roosevelt in this novel which takes readers to the time he became President. Charyn excels at dialogue in this novel, and the language seems perfectly suited to the time period covered, and never comes across as awkward or clumsy to this reader. Rating: Four-star (I like it) Click here to purchase The Perilous Adventures of the Cowboy King from amazon.com.